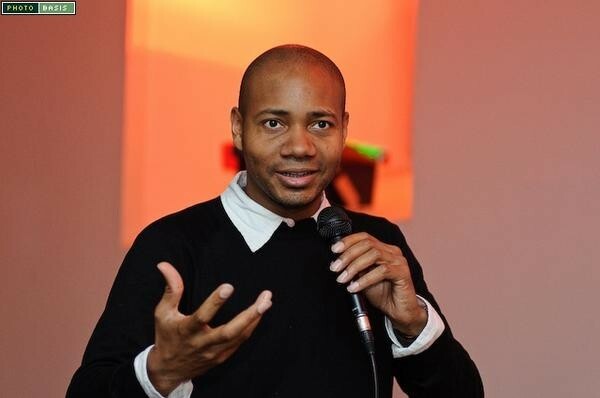 Back in 1995 New York's DJ Spooky (aka Paul D. Miller) made himself the face of the so-called illbient scene, a promising movement that styled DJs as sound sculptors just as likely to make use of the incidental noise of vinyl—pops, crackles, hisses, skips—as the actual music contained on it. But in the years since, just about all of Spooky's aesthetic comrades have evolved into artists much more compelling than he is, especially DJ Olive and Mutamassik, who've become viable, serious improvisers and collaborated with a dazzling range of musicians. Spooky seems better at lofty, often impenetrable rhetoric than music making, and when listened to outside the protective bubble of his theoretical mumbo-jumbo—rife with academic name-dropping and words like "datacloud" and "recombinant"—his output has usually been pedestrian if not downright boring. Last week he released The Secret Song (Thirsty Ear), and it’s loaded with cameos—the Coup, Rob Swift, Mike G of the Jungle Brothers, Sussan Deyhim, Vijay Iyer, Thurston Moore, Matthew Shipp, Mike Ladd, and more. The album tilts strongly toward run-of-the-mill hip-hop—but I certainly prefer that sort of thing to abominations like Spooky’s take on "Dazed and Confused," where the Golden Hornet Project goes up against the song's pummeling drums and familiar descending electric guitar figure with stately strings and flute. Is this supposed to be heavy? And is it really meaningful in 2009 to credit George W. Bush as a guest artist, when all you've done is drop in some moronic-sounding snippets from his speeches (and add canned laughter), as Spooky does on "Measure by Measure"? I’ve always wanted to like DJ Spooky’s music a lot more than I do, but it might be time for me to give up. Update: Spooky's performance at the Abbey Pub tomorrow night has been cancelled.